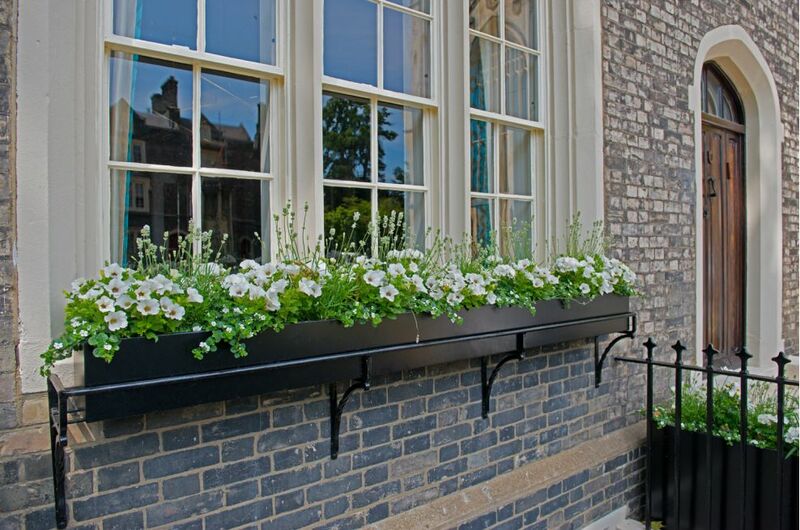 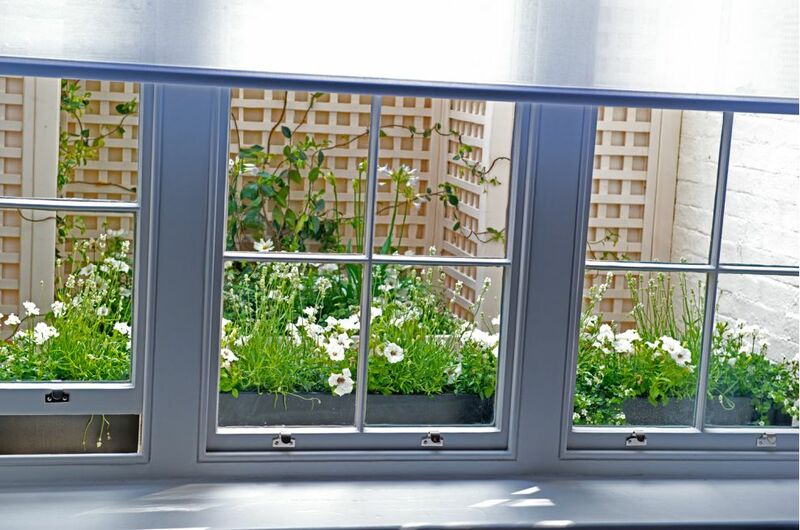 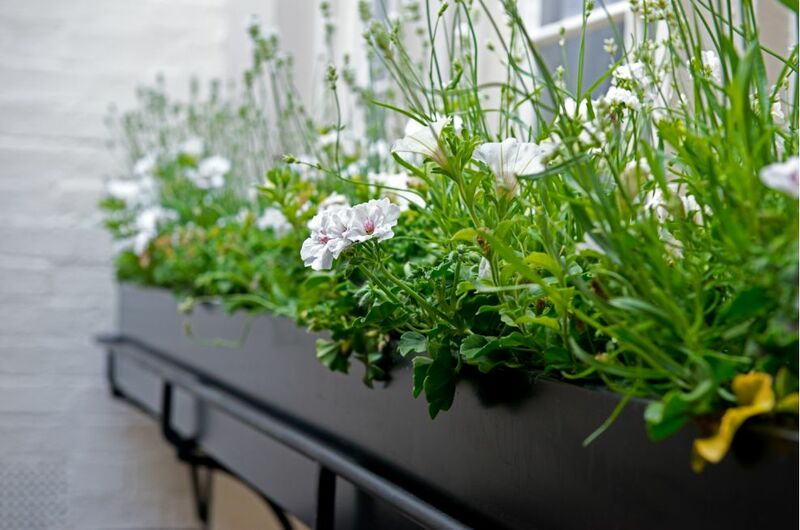 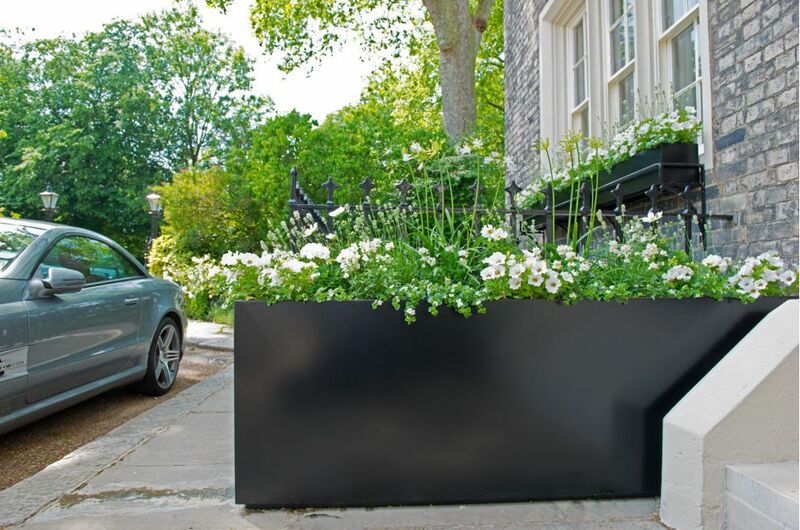 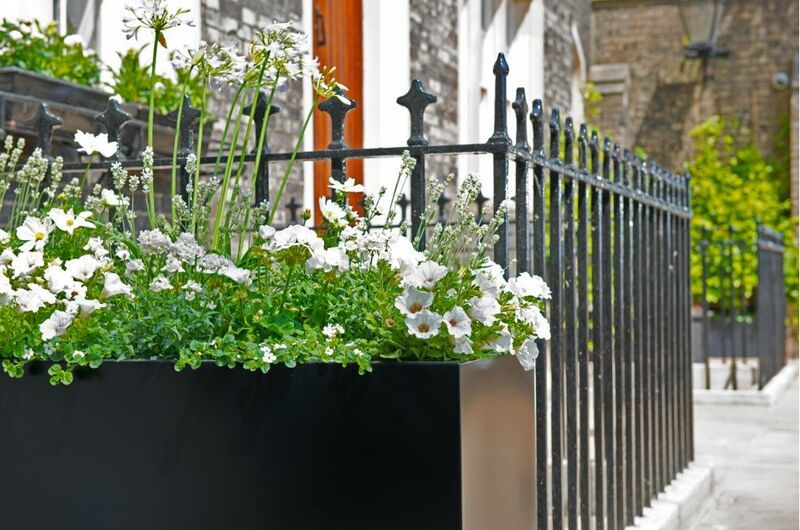 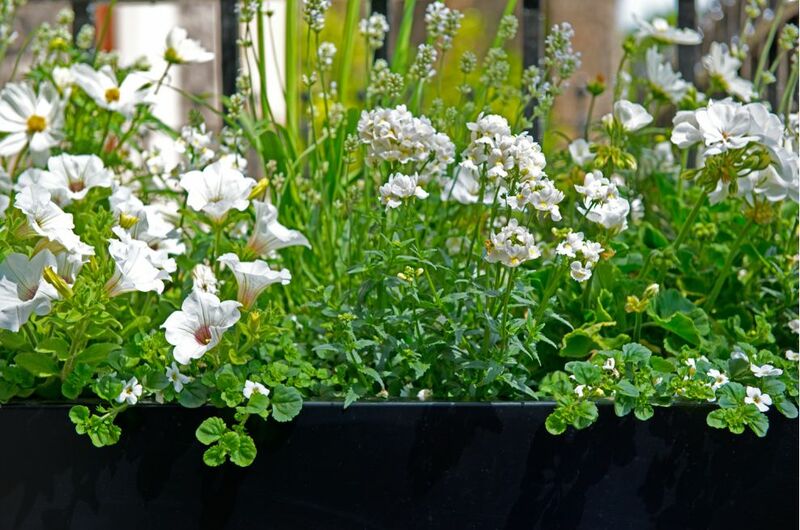 Bespoke powder coated steel planters were commissioned for a London townhouse redevelopment in prestigious St. Katharine’s Precinct, on the Outer Circle of Regent’s Park in London. 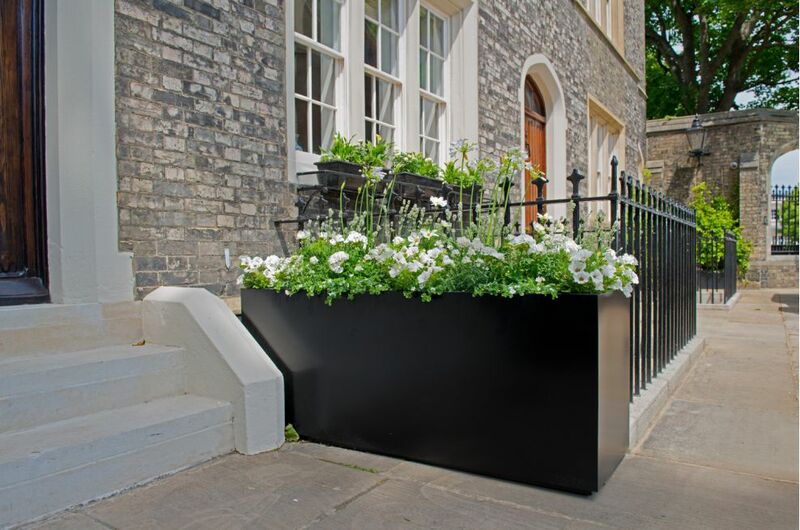 A variety of designs were commissioned, including: L 2400mm window boxes; rectangular trough planters of varying dimensions from L 1250 to L 1650mm; and smaller tree and shrub planters of L 600 x W 600 x H 750mm. 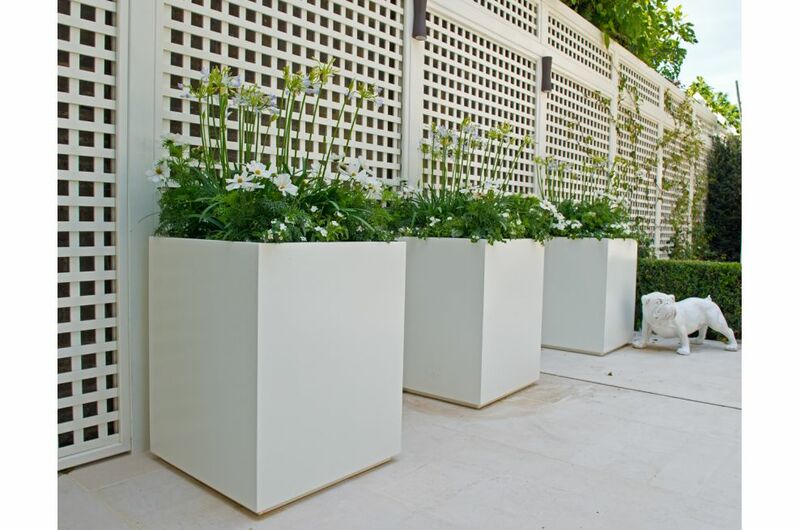 Some garden planters were of simple geometric design, whilst others were fabricated with plinths, to create a shadow gap around the base. 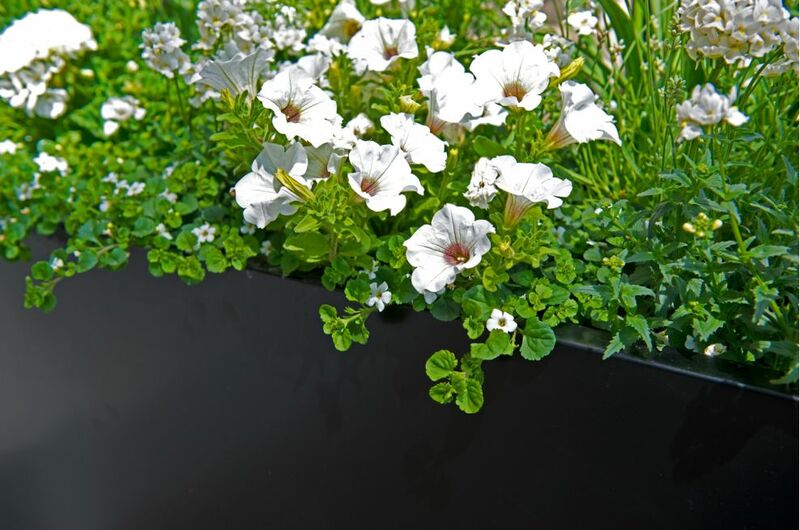 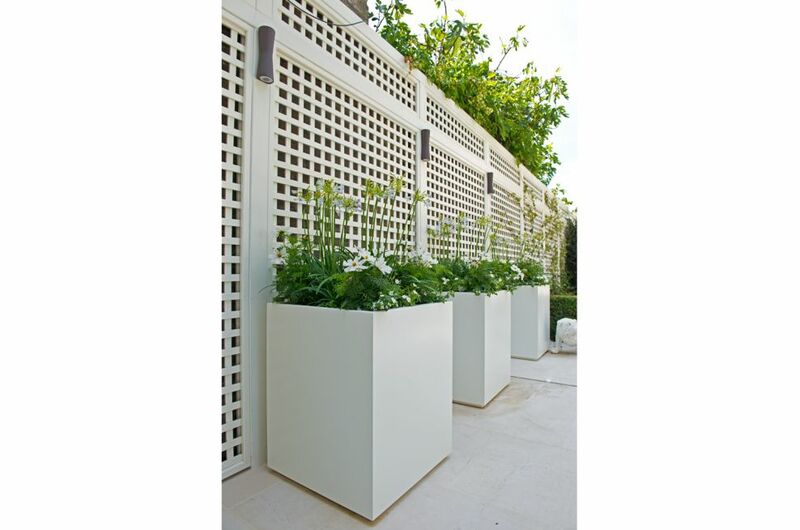 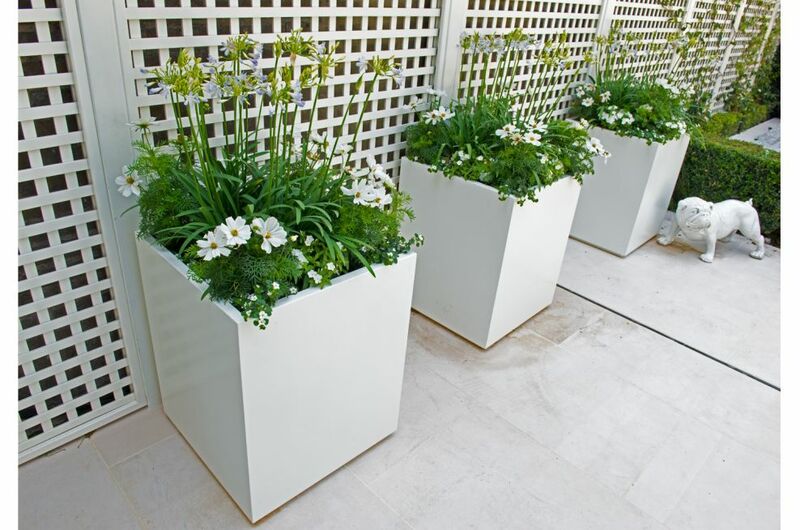 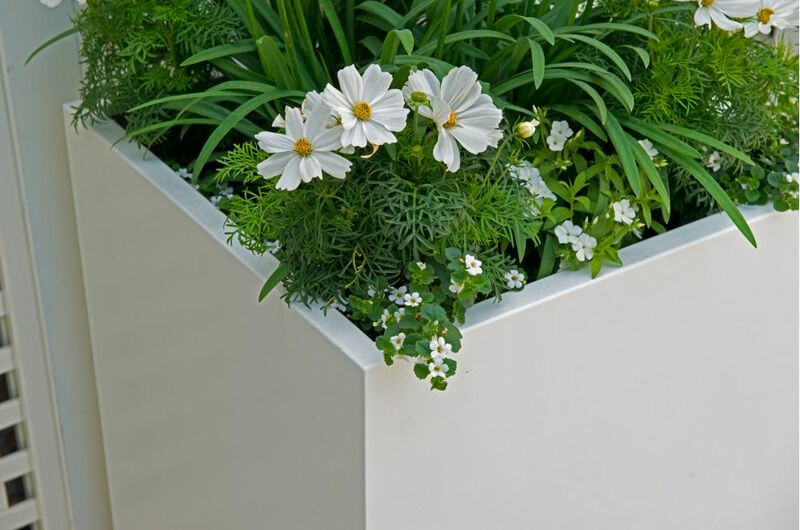 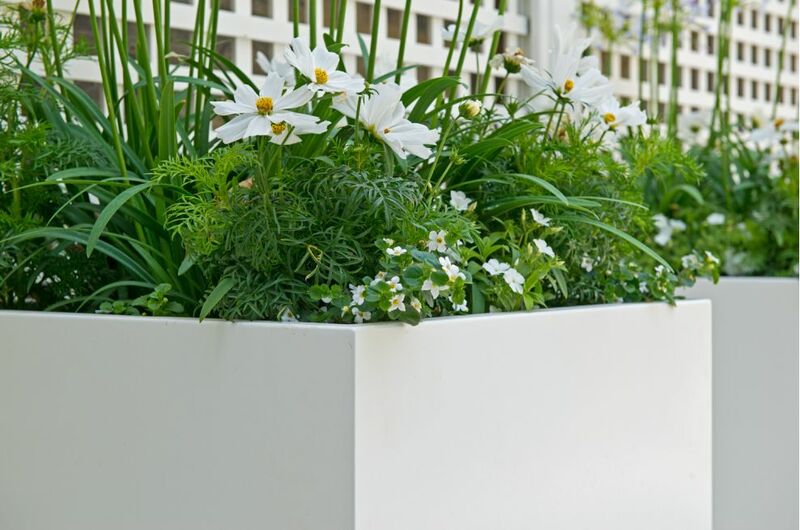 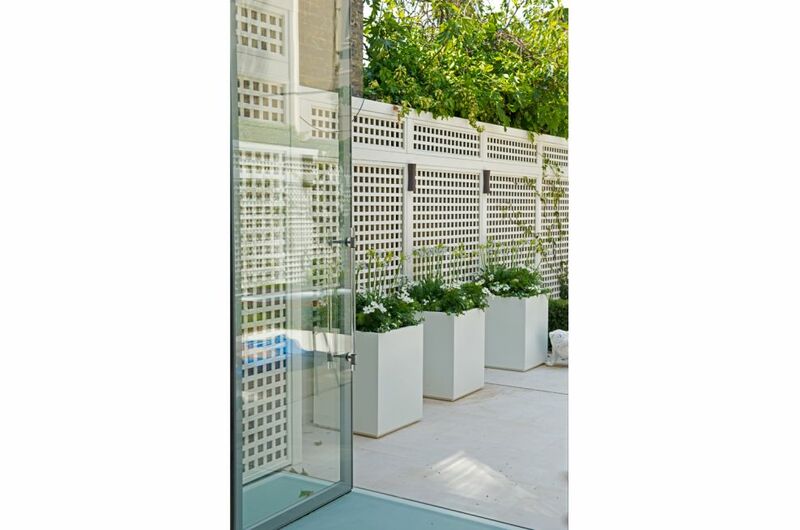 All planters were manufactured from 1.5mm Zintec steel, polyester powder coated; and the colours specified were RAL 9017 [Traffic black], RAL 9010 [Pure white], and BS08B15 [Magnolia]. 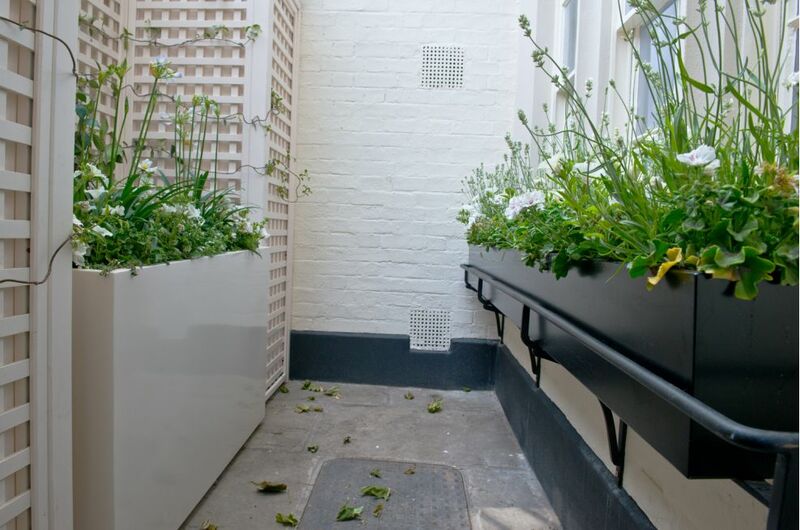 The scheme was designed and specified by Annie Pearce of Metamorphosis Design. 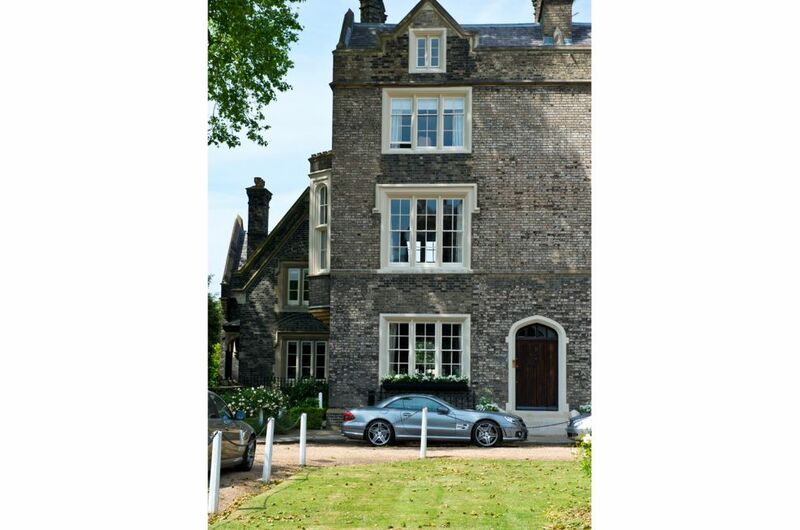 Located on the prestigious Outer Circle of Regent’s Park, St. Katharine’s Precinct was originally built in 1826-8 in Gothic revival style, designed by Sir Ambrose Poynter – a founding director of the Institute of British Architects and associate of John Nash, the architect of Regent’s Park. 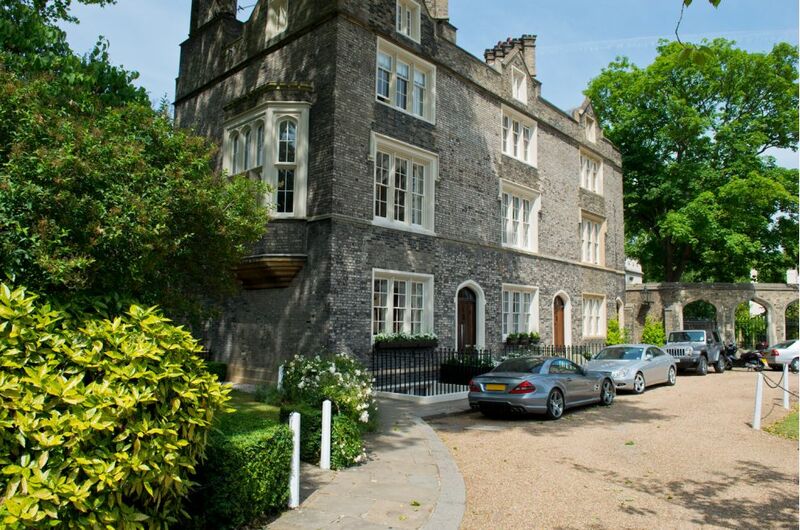 The Precinct was originally part of the Royal Foundation of St. Katharine, a religious order and college, dating back to 1148; before becoming a cloister of privately owned properties after the Second World War.